Discover How to Raise an Autistic Child! Everyone knows that autism exists, but most people have no idea that autism is just one of the autism spectrum disorders -- let alone how to recognize the symptoms. The only way to single out a child with autism is to know what characteristics to look for, and they may not be the same for all children! 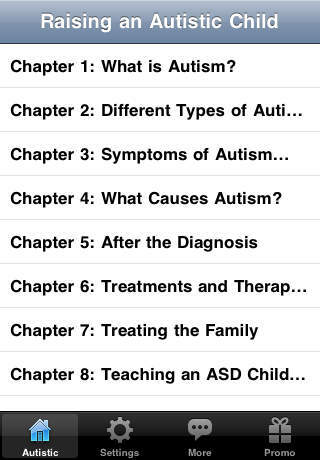 ★ What are Autism Spectrum Disorders – Explore the history of autism and dispel some of the myths. ★ What are the different types of ASDs (Autism Spectrum Disorder) – There are actually three different types. Do you know what they are? ★ What are the symptoms – This is an important one. Learn how to distinguish them from normal behavior. ★ What Causes Autism Spectrum Disorders – There are many theories and we discuss them here. ★ After the Diagnosis – Learning how to cope and absorb what you need to know as a parent of a child with an ASD. ★ Treatments and Therapies – A discussion about some of the therapies available. ★ Treating the Entire Family - What parents should tell their other children. ★ How Do You Teach an ADS Child in Public School – Discover what the school systems have to offer for special needs children. You might be pleasantly surprised! ★ How to Teach Your ADS Child Social Skills – Even something as basic as toilet training is important. ★ When Your Child Becomes a Teenager – Explore some of the new challenges as your child matures. ★ What Causes Language (and speech) Problems in Autism – Communication problems are prevalent in ASD children. How to help overcome. 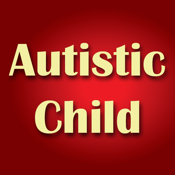 ★ When Your Child Grows Up - What to prepare your autistic child for as an adult coping in society. The sooner you become aware of ASD in your child the quicker you can begin to prepare yourself for the future. You can overcome and help your child prepare him or herself for what lies ahead. The sooner you know the sooner you can educate yourself and prepare for the years ahead. There is absolutely no reason why you should not expect a happy life for your child.